Imagine the scenario: you are home alone when suddenly you slip. You find that you cannot move but there is no way to call for help. Unless you have a medical alarm system that is. Medical alarms or life alarms ensure that anyone, from old to young, has a lifeline that they can use in an emergency situation. These systems can detect when you are in a life threatening situation and they send a signal to emergency personnel. Typical emergency situations could include fire, accidents, robberies, car accidents and a host of other life threatening situations. A life alarm of any medical alarm system works inside a necklace or bracelet. This seeming piece of jewelry is actually a powerful transmitter that is activated if there is an emergency. In some cases, the wearer will activate it themselves, but if they cannot, the bracelet or necklace will send its own signal, indicating the need for emergency personnel. The transmitter inside the necklace or bracelet will send a signal to whichever company monitors the device. The person in charge of emergency transmissions then contacts either emergency personnel, or someone that the wearer has nominated to the house or office to check on the emergency. 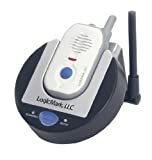 Generally, these medical alarms come with a stand or base that is connected to a telephone. The base unit contains a speaker and microphone so that the user can communicate with emergency personnel. If an emergency has occurred or is occurring, the user can tell their nominated contact or the emergency personnel what the emergency is. This makes is a lot easier to dispatch the right kind of help, for example, a fire truck in case of a fire. If the user can’t speak, and thus cannot make use of the microphone, emergency personnel are dispatched to their home. As with just about any piece of modern technology, there are many different types of medical alerts on the market, and many different types of plans that users can subscribe to. From the simple push button medical alarms systems, to the more complicated systems that can detect falls, getting a life alarm is an investment in your health and safety. In fact, these systems give you not just a lifeline, but also peace of mind. Can you imagine what might happen if your elderly parent were to fall? They might break a bone or suffer a concussion, and no one would know. However, if they had a medical alarm that was able to detect a fall, they would receive emergency assistance quickly. This is why buying medical alarm systems is not just about safety, it is also about peace of mind. Who is the unit for? By considering who the unit is for, you can easily make a decision. An elderly person who lives alone for example will need a unit that has fall monitoring and other special features, whereas, a young housewife might need just a simple bracelet or necklace as a safety measure. How much can you afford? Be realistic about how much you can afford to pay. Remember that you have to pay a monthly subscription to the service, so be sure to budget for it and be wise about how much you can spend. How much do you know about the medical alarm service provider? This should affect your decision not about which unit to buy, but about which company to buy it from. If the service provider is one that you have never heard of and cannot get any information about, chances are that they will not be as reliable as you hope. Be sure to look at the company’s credentials and ask for testimonials. A good service provider will have some kind of accreditation. The human condition is such that we always assume nothing will go wrong. Especially when we are young, we think we are invincible and that bad things happen to other people. However, sometimes things do go wrong, and it makes sense to have a backup plan to ensure that if the worst happens, you have some type of support. Medical alert systems could be that support structure. Easy and instant communication with emergency personnel – whether you need an ambulance or just for your emergency contact to come home, communicating with the control room is easy. Easy to use – from the simplest to the most complicate medical alarm system, these units are easy to use. Most of them feature a single button that can be pressed to call for assistance, and in some cases, you don’t even need to push a button. The unit automatically monitors you. Medical alarm systems are small – for technology this advanced, you might imagine that the bracelet or necklace is big and bulky. However, these medical alarms are relatively small, so that you can keep them with you at all times without feeling encumbered. Dignity of the elderly – can you imagine how hard it must be for the elderly to admit they need to be monitored? That is why with these medical alarms, the dignity of the elderly is preserved and no one has to know that they are attached to a lifeline. Peace of mind – in essence, medical alarm systems are not just about safety, though this is their primary function. They are also about peace of mind, the peace of mind of knowing that no matter what situation the wearer is in, someone will help them if needed. The great thing about medical alert systems is that you do not have to deliberate long and hard about whether to buy them. They do not constitute a huge investment like buying a house or a car, and yet, they are invaluable. For a small monthly fee, you ensure that the people you love are monitored just in case, and you have the peace of mind to go on with your life. If you are interested in buying medical alarms systems, it makes sense to know something about the company’s monitoring centers. After all, these are the people who are potentially responsible for your life. When buying one of these units, ask about the monitoring centre. In some cases a service provider will outsource their monitoring centre. This means that when you push your emergency button, it is ultimately not the company you hired that responds, but someone they are paying on an external basis. You want to go with a company that has direct control over the level of care and contact, rather than one that has outsourced their monitoring centre. The way in which the monitoring centre works is quite clever. When there is an emergency and you have either pushed the button, or your unit has sent a message to the call centre, the responder contacts not just emergency personnel, but also a person that you have nominated. So in an emergency when an elderly person is involved, you can be sure that you will be alerted. It is also comforting to know that the monitoring centre for medical alerts will dispatch the right kind of assistance. Whether you need an ambulance or some other type of emergency medical service, they can determine who should be dispatched to your home. This ensures that you get the right help at the right time. Many companies may charge an outrageous amount for these systems, but those service providers who actually care about your and your family’s well being will have plans that suit every type of budget. From the very simple plans to the more complicated, service providers who know what they are doing and are committed to health will be able to recommend the best life alarms for you and your family. In some cases, you may find that medical alert companies will charge practically nothing for a medical alarm system. In this case, you need to think about how much their expenses are. How can a company that charges you so little actually stay in business? This is the type of company that will outsource their monitoring centre, and the type that you should stay away from. Most companies will charge about $25 to $30 a month for their services depending on the medical alarm systems you choose. Most companies will also allow you to send the unit back if you are not fully satisfied. Even the elderly may regret a decision to be monitored in this way, and may decide that they do not need a life alarm system. In this case, each company will have its own policy about returns and cancellations, so it makes sense to investigate this before you buy. Some companies may charge additional costs with the monthly fee. In many cases, it is not unusual for the company to charge for the bracelet or necklace you are getting, though this shouldn’t be too expensive, and they may also charge for the postage and packaging to get the unit to you. This is pretty standard practice, so don’t be surprised if you get a large upfront bill. Of course, it always makes sense to ask about these charges upfront, and thus spare yourself any surprises. Some companies may also add a call out fee, so if they have to dispatch emergency personnel to your home, they will charge a set amount. How Reliable Are Meical Alarms? What is the service provider’s history? Any good service provider will be proud of the work they have done and will have a list of testimonials from happy clients. If you are worried about them, try using a search engine to look them up. This should yield any complaints or court cases. How reliable is medical alert equiptment? At the end of the day, the unit you buy will either secure your safety or leave you stranded, so you need the peace of mind of knowing that it works well. Be sure that the unit is certified with a regulatory body and you won’t need to worry about it. Is the call centre open 24/7? Generally, an emergency medical response centre should be open all day and night. Ensure that the service provider you choose has thought about this, so that in the case of an emergency at an irregular hour, you are assured of someone who is paying attention. How should the unit be serviced? In many cases, these units have a battery that should be changed at regular intervals. Your service provider will be able to advise you about the maintenance of your particular unit. When you consider using medical alert systems, you are investing not just in your personal safety, or the safety of your loved ones, but in peace of mind. After all, what is vital when you have young children, the elderly living on their own, or even a very pregnant wife, is that you know that in an emergency, they will be taken care of. That is why when buying medical alarms, you want to be sure of a system that works well, is reliable and that you can afford. Investing in medical alarm systems or life alarms is an investment in your family’s future health and in your own peace of mind, and ensures that no matter where, no matter when, no matter who, the people you love have a lifeline that keeps them safe.